for high output. 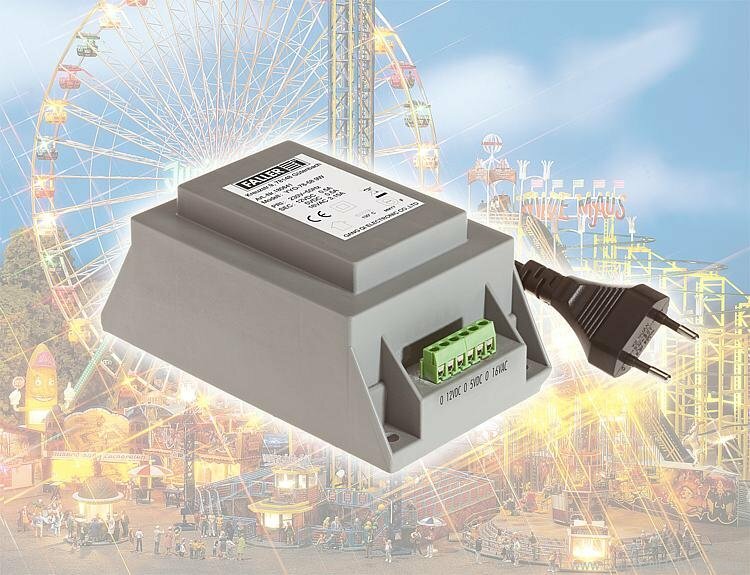 Especially applicable for the operation of fair rides, electrical appliances, lighting, power supply for Car System controls and other model making accessories. With overload protection.